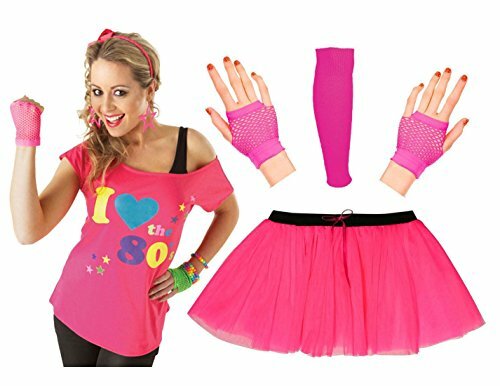 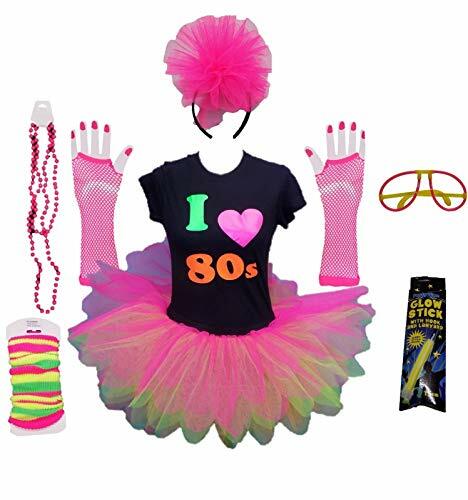 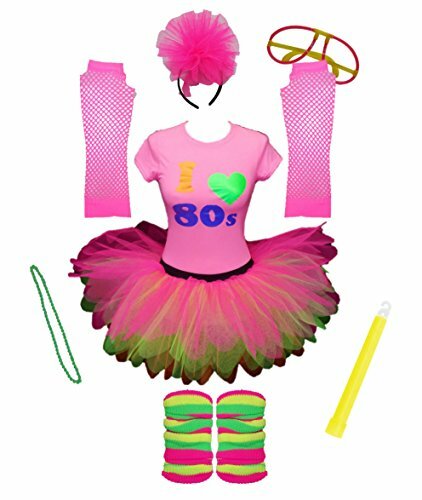 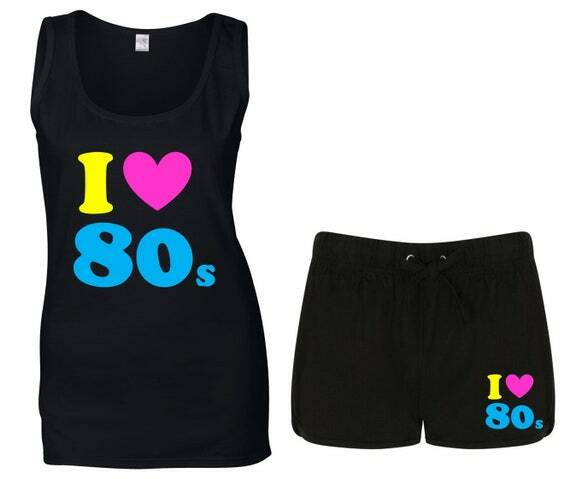 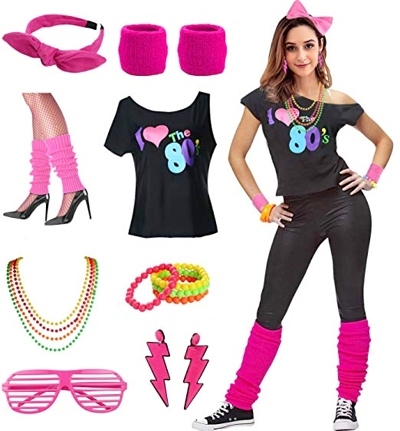 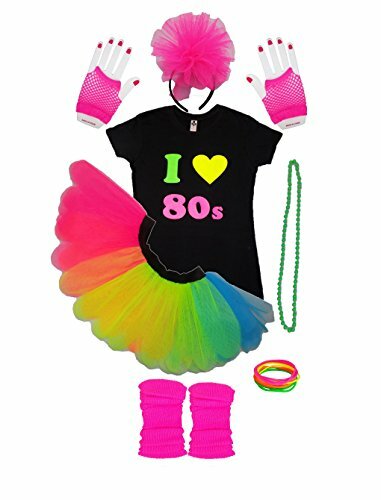 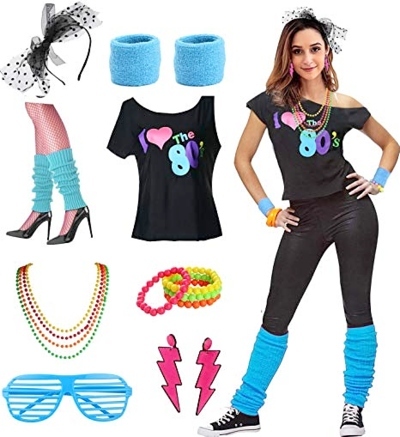 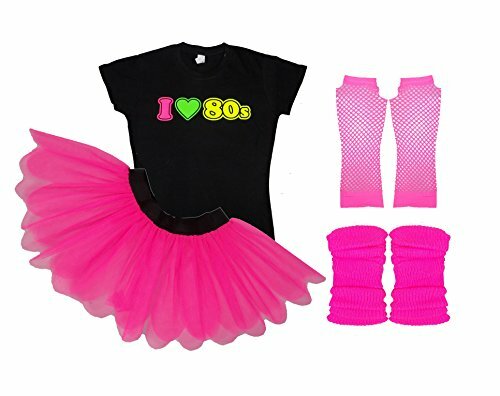 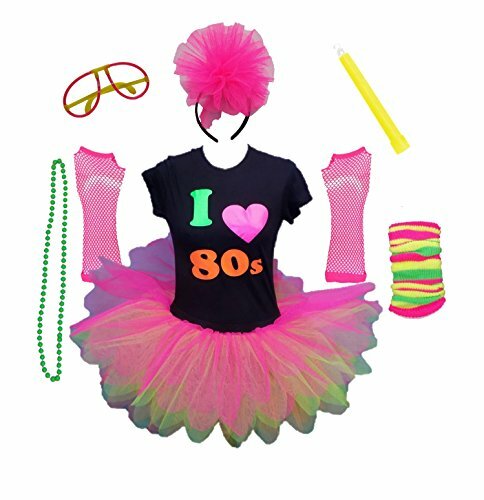 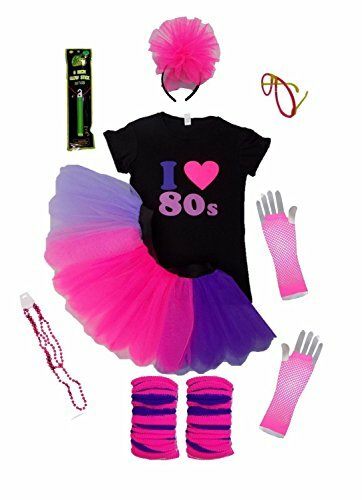 I can also highly recommend viewing the many I Love the 80s T-shirts and Costumes on Etsy, where you'll find a wide variety of clothing. 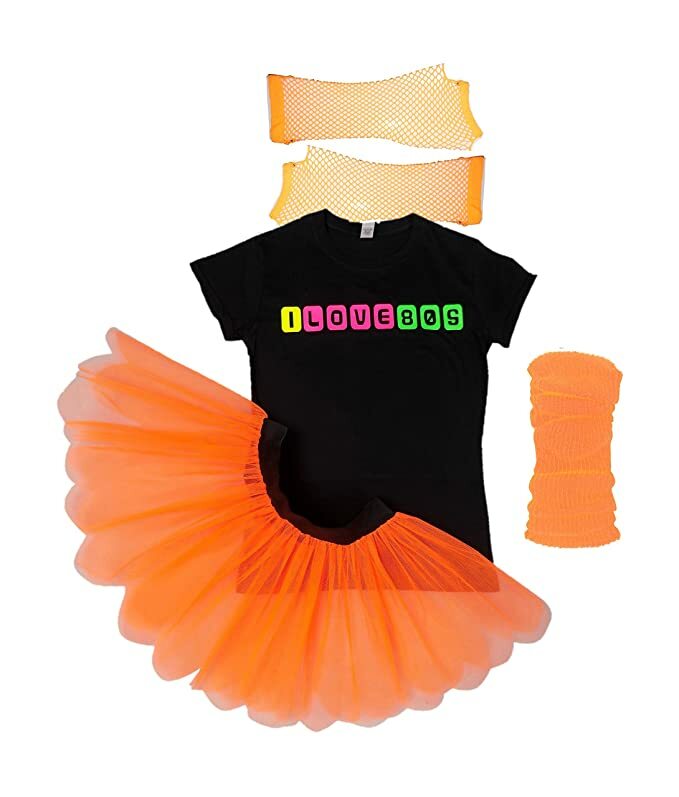 There are also many other sets available on Amazon, and you may prefer one that also comes with a skirt or leggings. 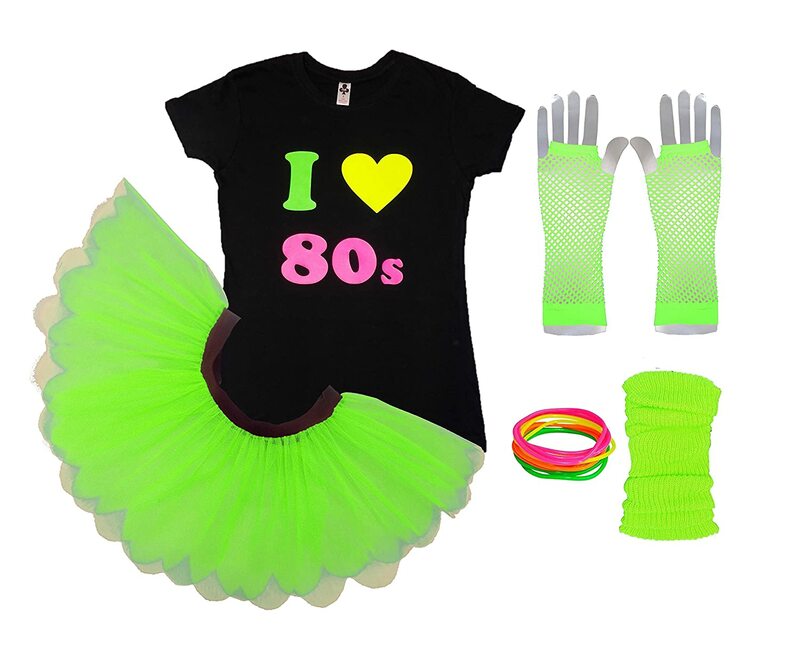 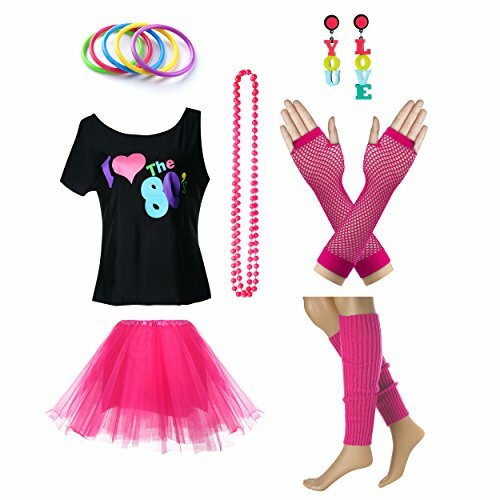 You can create a roller disco or workout look by using tube socks, rainbow leg warmers and shorts as shown above. 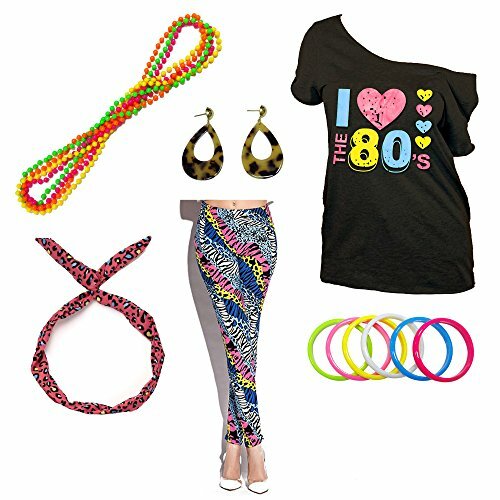 Many of these sets come in a range of colours and sizes. 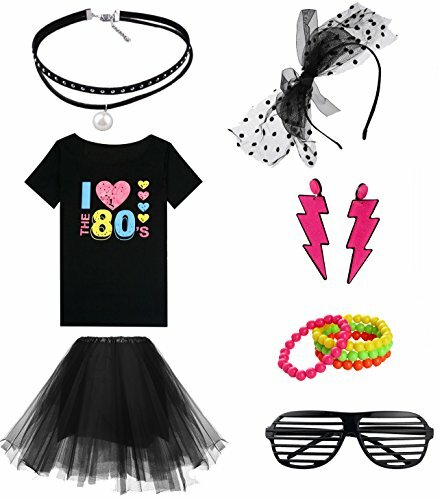 Not all of them feature an off-shoulder tee, but they all follow the same kind of theme.